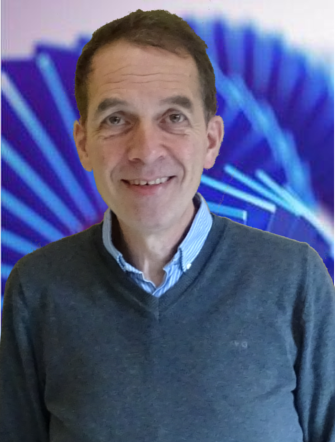 Reinder Coehoorn is Full Professor in the Molecular Materials and Nanosystems group since 2015. He holds a Master's degree in Experimental Physics from the Vrije Universiteit Amsterdam. In 1985, he obtained his PhD degree from the University of Groningen for a thesis on the electronic structure and magnetism of crystalline materials, studied using angle-resolved ultraviolet photo-electron spectroscopy and band structure calculations. From 1985 to 2015, Coehoorn worked as an industrial scientist at Philips Research Laboratories in Eindhoven on a variety of subjects, including permanent magnets, nano-scale effects in thin-film multilayers (showing giant or tunnel magnetoresistance) for magnetic read heads, sensors and non-volatile memories, novel opto-magnetic disk-recording technologies, magnetic biosensors, organic field-effect transistors and OLEDS. From 1993 to 1998, he was part-time professor on the physics of materials at the University of Amsterdam. In 1998, he was appointed as part-time Professor of Physics and Application of Nanosystems at the Department of Applied Physics at the Eindhoven University of Technology (TU/e), initially with a focus on magnetic nanomaterials and devices and since 2001 in the field of organic electronics. He is affiliated with the Institute for Complex Molecular Materials (ICMS) of the TU/e, and is distinguished guest professor in the South China Academy of Advanced Optoelectronics of the South China Normal University in Guangzhou (China). In 2000, Coehoorn and Wim de Jonge received the Gilles Holst medal for their joint contribution to insights into the Giant Magneto Resistance effect and their work in tunnel magneto resistance, creating advanced technology for depositing subnanometer layers. Since 2007, Coehoorn is a member of the Natural Sciences and Engineering section of the Royal Netherlands Academy of Arts and Sciences (KNAW). His research program focuses at present on the device physics of organic light-emitting diodes (OLEDS), which he studies experimentally using spectroscopic and electrical transport measurements, and with advanced molecular-scale simulations that include electrical and photophysical processes. He is also active as scientific advisor for Simbeyond, the company that markets the Bumblebee kinetic Monte Carlo simulation software he developed in a collaboration between Philips Research and the TU/e.